Enjoy the Our FILM~! Part ONE of 11.
then Please DONATE! $11 usd or more to HELP US MAKE Part TWO. THANK YOU! PLEASE HELP ME ~ HELP YOU HEAL & WAKE UP to The MAX: Let's Make a Film with your Name &/or Website at the Film's Credits, to Help Us Awaken Humanity. Yes? 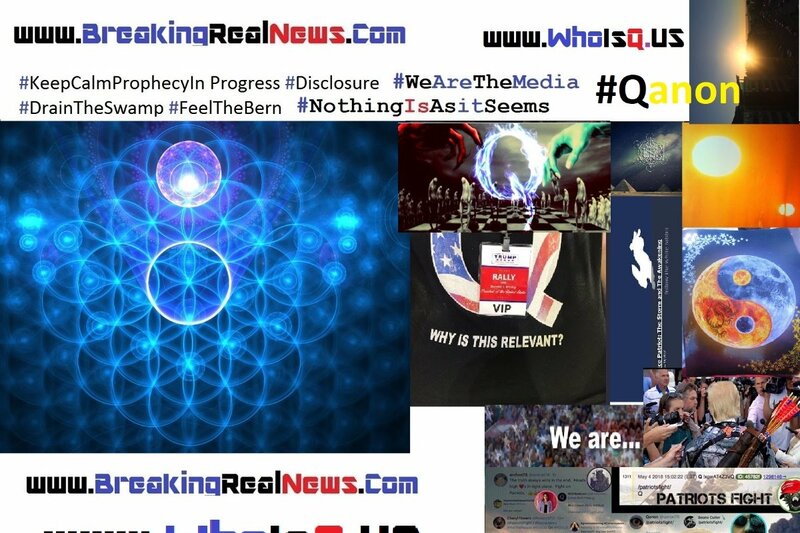 read more ~ help my work as independent Journalist, get a monthly ebook / eNewsletter pack with articles, videos, intel, updates when you donate $99/year or $11/month. Do You Know the meaning of your Name? Are You Prepared for #TheSTORM NOW in Progress? - Hire me! to help You Understand... what's going on... Let's Talk! by Phone, Skype, or chat during 2018 Only usd $99 per hour or $50 per half hour on the phone or skype. Order / donate here!! with best date / time to reach You, to get the ball rolling... towards the Work for the Light of Truth Absolute Healing & Ascension. RSVP to take the : "IAMabsoluteHEALING" 10 Hour Class by Skype + Chat Support for ONE YEAR! RSVP here! When You Donate $777.00 (Save 233.00 from regular per hour fee). THANKS! so much in advanced! I am just another You = You are just another me = Namaste ~ I am at your service! Please DONATE here! any amount to Help US continue informing You! and The People. Thank You! In advanced! The energies that emanate from the Galactic core are awakening the people of Gaia. This global consciousness awakening is what the cabal fears the most. The volume of energy pouring in from the throne of the Creator is immeasurable! As these new frequencies become integrated and anchored in Gaia's new consciousness grid, lies and greed can no longer hold sway. Truth is emerging into the Light for all to see. Salamat Jalwa (be in righteousness). We return to speak with you about many events unfolding around your globe. Your world is caught in a war between good and evil. For 13 millennia, the dark cabal has been in control of your planet. With the new strategies we have provided our Earth allies, now called the Alliance, the tides have turned: the dark is losing its power while the Alliance continues to gain momentum. All the dark cabal has left is the ability to cause vexing delays, which soon will cease as well. The dark is in serious difficulty because it is running out of ways to delude the masses. The Alliance, gradually and at its own pace, is bringing about extraordinary alterations in the world. We have shared with the Alliance one of our successful strategies, which we refer to as Fluid Group Dynamics. This strategy tends to confuse the cabal because their style of operation is more static. The Alliance is now using this fluid method to resolve all the problems confronting your world. When each individual's talents are applied to a particular problem, group leaders change constantly, depending upon the areas of expertise required. Now, as the egotistic cabal faces their demise, they are beginning to turn on one another. Because Fluid Dynamics is not based on the ego, group members are able to work cooperatively. Increasing successes are confirming the efficacy of this strategy. The cabal is reeling from the consciousness growth anchored by Gaia's people into the new energy grid of Light. It has assumed a momentum that ensures its Victory. We descended from the bliss of full consciousness into a realm beset by horrors. Despite this adversity/unfavorable turn, the Anunnaki and their minions failed to obliterate our most sacred thoughts. We retained our memories. Our divine service as Ascended Masters has always been to grant you mercy and succor from the depredations of the dark. Dear Ones, more and more of you are waking up to a new reality, where the interactions with us is becoming more and more experiential, tangible and visible. 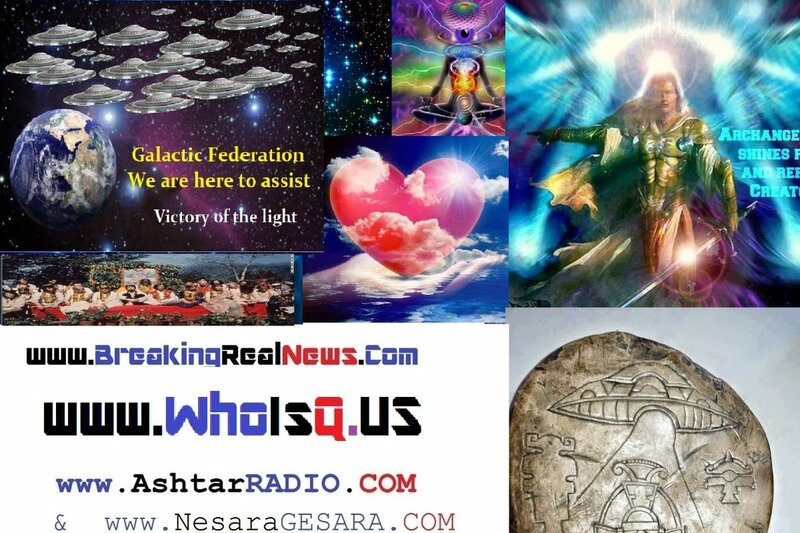 If you are reading these words, you have been visiting our Starships in your sleep time, to connect and re-unite with your Galactic family of Light. Consider these visitations on board our ships as an exercise for a more conscious experience for you, at a later point. When you are on board our craft, you are able to get accustomed to our energies, the atmosphere and the way we interact and communicate. Our communications with you are telepathic, which you can compare to an “echoing inside your mind.” Your thoughts are transmitted to us also this way. What you experience as thoughts, however, are only a fraction of what is actually happening. Your thoughts are holographic energy forms and are radiating outward into infinity. This enables Higher Dimensional Beings to perceive your thoughts easily. This is why, when you are asking a higher dimensional beings like us, Angels or Ascended Master a question, you will find that we have answered your question before you were able to finish your thought. If you wish to connect with us more and begin your journey of a tangible and more conscious interaction with us, simply keep inviting us with your thoughts on a regular basis. This sets an important process in motion, to prepare you by releasing any old thought patterns that might be in your way of connecting with us on a deeper level. In the beginning all was light, all was Source, the great mystery. As Source decided to expand and appreciate various aspects of itself, worlds were formed, peoples created, civilizations lost and found, adventures began. Consciousness by its very nature is expansion. Creation and the process of it is a deeply personal one. For what one creates one is responsible for, in a way. We Blue Avians feel perhaps beholden to humanity, for we have inserted our consciousness, we have observed your genetic experiments, we have been a part of shaping of your ancient societies such as in Egypt, and we feel as if we know you. For we have seen the traumatic ups and downs of your many societal revolutions and remaking and we have observed with keen interest the resilience and unbreakable passion of the human spirit, and the interplay with the twisting of the ego. You have been embroiled for millennia. We have known you and observed your kind for millennia. It is time that we begin to make our presence known to those on your world, for we come in peace of course, to offer creative solutions and to assist with elevation of consciousness. For where Earth goes, the galaxy follows. Earth is an integrative, integral piece of the grand puzzle of creation in this sector and many many worlds and civilizations would be affected negatively if you do not succeed. And so succeed you will. We Blue Avians offer our technologies, our wisdom and understanding of our own scientific observations of your species and we offer you our spirit of creative assistance. We will not interfere, we could not, for we respect the Law Of One and we abide by it. Non-interference is the prime directive that we closely adhere to and respect / honor. And of course we honor your free will. This is why we are making our presence known to those of you who are awakened so that you may choose to put your awareness out to us so that we might assist you more directly. Many of you have your soul roots within that of our own civilization. May we remind you that you are multidimensional beings currently experiencing a grand interplay of realities / worlds / parallels of you, and that it is time to integrate these into your field with love. Love and respect shall be the cornerstones for Nova Gaia. Start with building your lives with these as your cornerstones and ascension shall follow. You have many questions of us we see. We are relatively new to your awareness. You, humanity, have been within our field of awareness and compassion for quite some time and we are here in friendship to offer our services for your collective betterment. That is all. We are are the Blue Avian Beings. I AM my I AM Presence and I AM One with the I AM Presence of ALL Humanity. The center of my Universe is the Threefold Flame in my Heart. My Universe consists of every person, place, condition and thing in my life, conscious or unconscious, past or present, through obvious choice or through karmic liability. Within my Heart Flame I have the ability to Love my Universe FREE of all lower energies and thus I set myself FREE. Simultaneously, I assist every other point in my Universe to move forward in the Light. I AM a Force of God’s Resurrection Flame to all points in my Universe. I AM a Master over every vibration less than Divine Love. My Father-Mother God now envelop me in the most exquisite frequencies of the new Mother-of-Pearl Resurrection Flame. This Sacred Fire begins Resurrecting my physical, etheric, mental and emotional bodies into the full embrace of my I AM Presence. I breathe in deeply again and suddenly I feel the Resurrection Flame lifting me into higher and higher frequencies of Divine Love, Oneness, Reverence for Life, Eternal Peace and God’s Infinite Abundance. I pierce into the core of purity within each and every one of these celestial patterns, and the splendor of these glorious expressions of the New Earth permeate my Being. "I AM the Resurrection and the Life of the Immaculate Concept of Humanity and Mother Earth"
i am @ your service! Check Out Updates! ~ I LOVE YOU! <3 Click back! xo Namaste! _/|_ ps. TRUST the PLAN!! Happy Holidays! Check Updates! Donate! yes? BreakingREALnews.Com How R U? what about having french translation please? I would very much like to share in France, they need to know, too much are still asleep ... thank you for this vidéo. Donate $99 to get a monthly ebook / eNewsletter pack with articles, videos, intel, updates when you donate $99/year or $11/month.